I had never heard of Sathya Sai Baba before although I still was in Bombay during the first 3 days of His visit there. 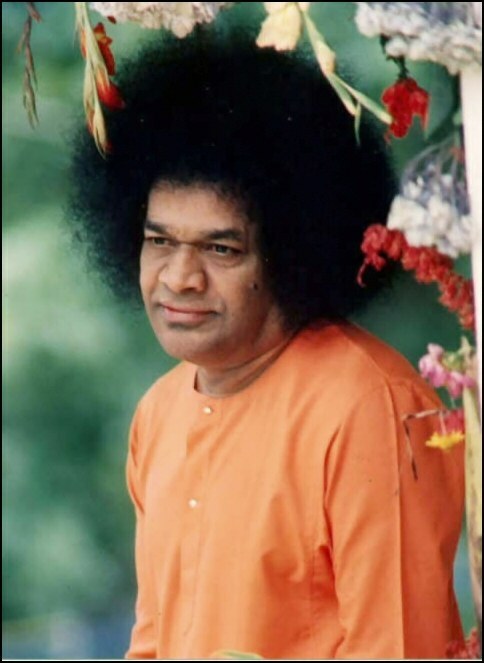 In retrospection, I am glad things happened the way they did, as otherwise I would not have gone to Puttaparthi to see Him if I had met Him at Bombay. I had first heard of Him only when I stopped off at Adyar, Madras, from Howard Murphet. When, after returning from Saigon to India, I was finally on my way to Puttaparthi, I kept asking myself, why am I going to see Him. I was, after all, not in need of any help or in search for a guru; but the Inner Voice calling me there was so strong that I could not disobey it. It was a hot April afternoon when I arrived in Prasanthi Nilayam. I was given a room where Gabriella Steyer, a Swiss school teacher sweetly took care of me. She had spent a year and a half there. Listening to her experience during her stay there was like listening to a fantastic fairy-tale. She had witnessed many miraculous cures. She had seen Him multiply food, taking from the air any object He wished to give to His devotees and even produce Amrita by squeezing His hand and giving it to drink to about 500 people without refilling the vessel. Gabriella was not tired to go on with her stories, and I was not tired to listen to them. Finally she suggested that we go to sit outside the Mandir doorsteps. Then Baba appeared in the doorway. Except for the bright orange colour of His robe and the thick crop of His hair standing like a black halo round His head, He did not at all resemble the photographs of Him I had seen. His tiny, slim figure and finely cut features were exactly the opposite of the way He looks in photographs. “May be, He will see you tomorrow morning before you leave,” whispered Gabriella. A few minutes later, Sri Sathya Sai Baba appeared on the upper balcony and looked down. Our eyes met. Suddenly my heart began beating violently. I was called in for the interview. As I stood up I felt I was growing taller and taller. If Gabriella and other girls had not supported me, I would have fallen down upon entering the interview room, as I did not any longer feel the floor under my feet. Some one switched on the fan, but I was not feeling hot or faint. “I don’t know why I have come here,” were my first words. “I was already in Saigon on my way home but the pull was so strong that I had to come and see You.” I also told Him about our Yoga Centre in Tecate and showed Him some pictures. “You must come there, Swami,” I said. He took my hand in His and tapped it three times, stating, “I say three times I shall come. I will keep My promise.” I told Him that I was guided here by Swami Vivekananda, who, so I was told by two clairvoyants, is my protector and guardian on the other side. At the end of our interview He asked me what I wanted. “Jyoti,” I answered, “since I want to start a crusade for ‘Light in Darkness. '” He made movements with His hand in the air and handed me a bright little image of Himself. And, although I had been told by the Murphets about His way of taking things from the air, yet seeing it happen with my own eyes did something to me. I kept looking at the little medallion with wonder, when He took it back saying, “Wait, I’ll give you some Vibhuti too.” A light movement of His fingertips and the ashes poured over the little image like a snowfall. Overwhelmed, I had to joke it off in order not to break into tears. “Don’t make it disappear now,” I said. “No, no, if I gave it to you……” “I am only joking”. And we both laughed. “Call Me whenever you need Me and my Grace. I shall be with you,” were His parting words.